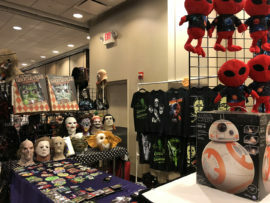 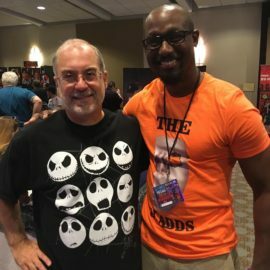 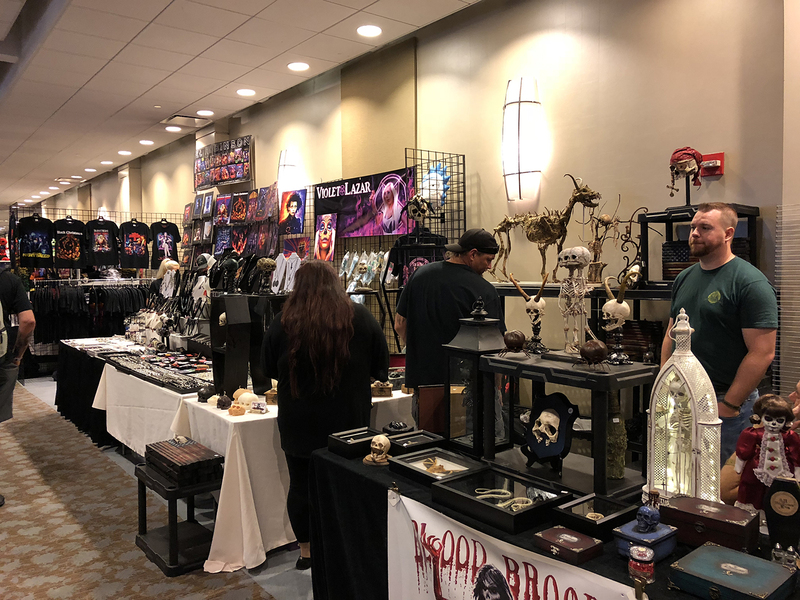 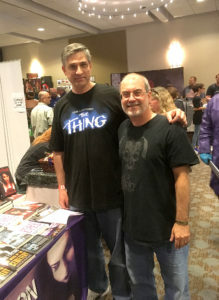 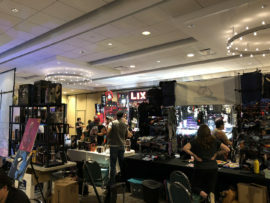 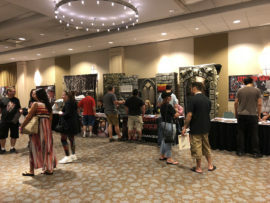 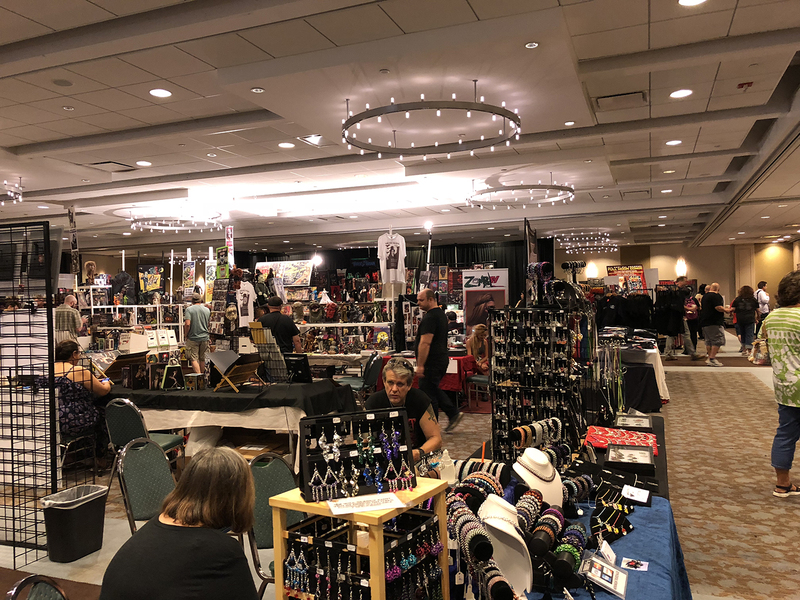 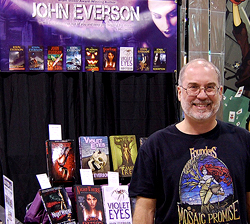 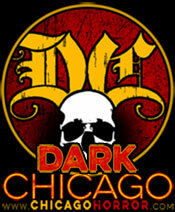 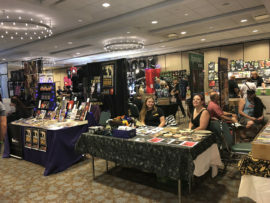 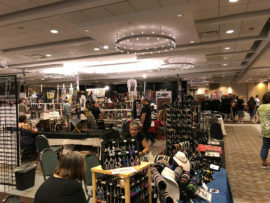 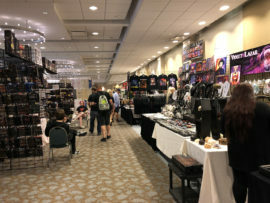 I LOOK FORWARD to Flashback Weekend: Chicago Horror Con every year. 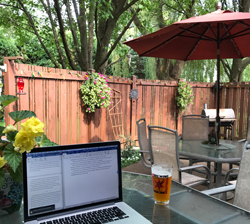 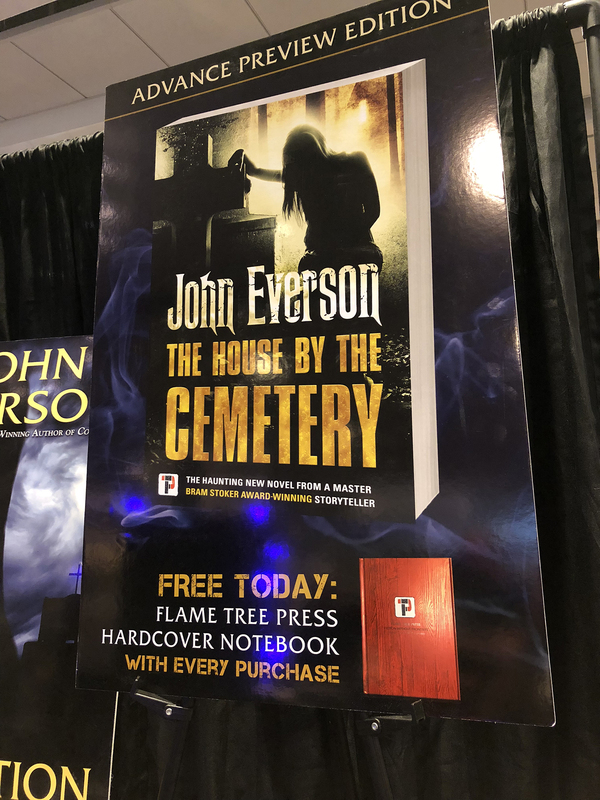 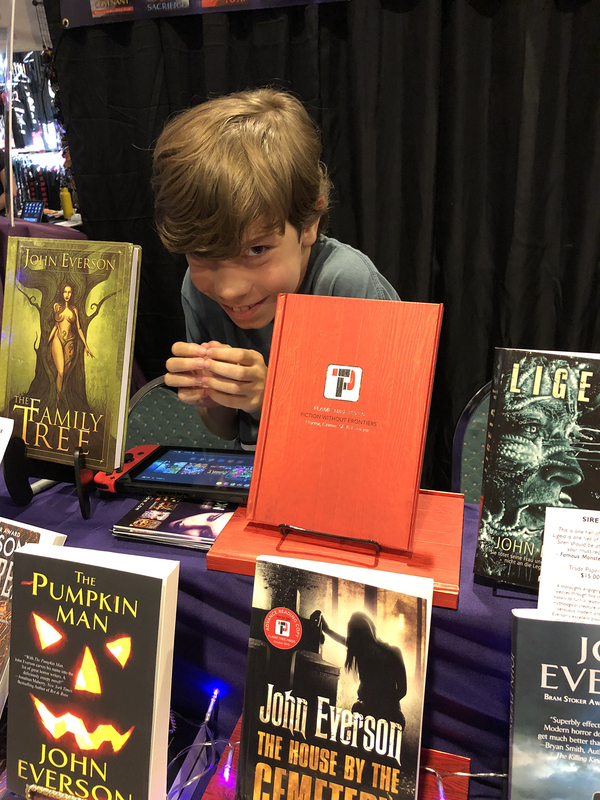 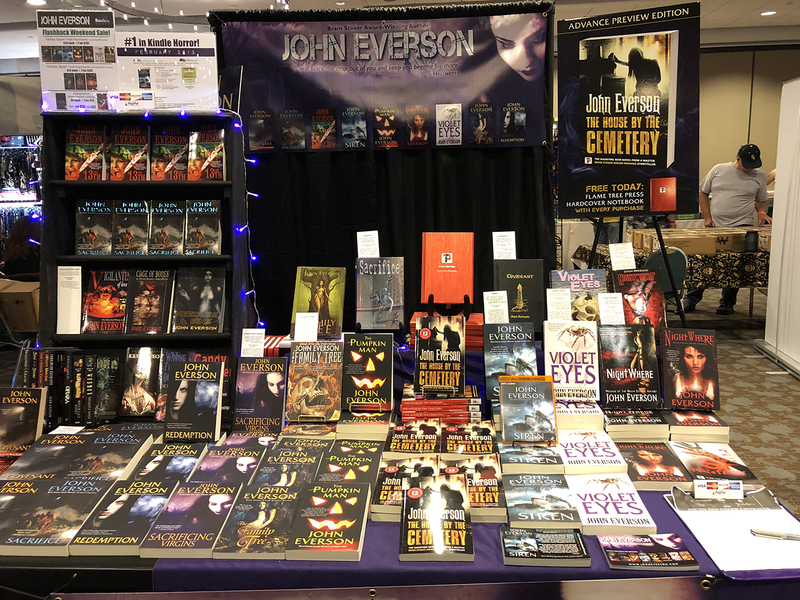 It’s one of my favorite parts of summer, and this year, Flashback Weekend 2018 was extra special, because it also served as the “Sneak Peek” local launch of my upcoming 10th novel, The House By The Cemetery. 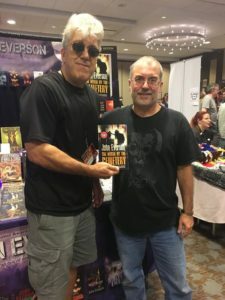 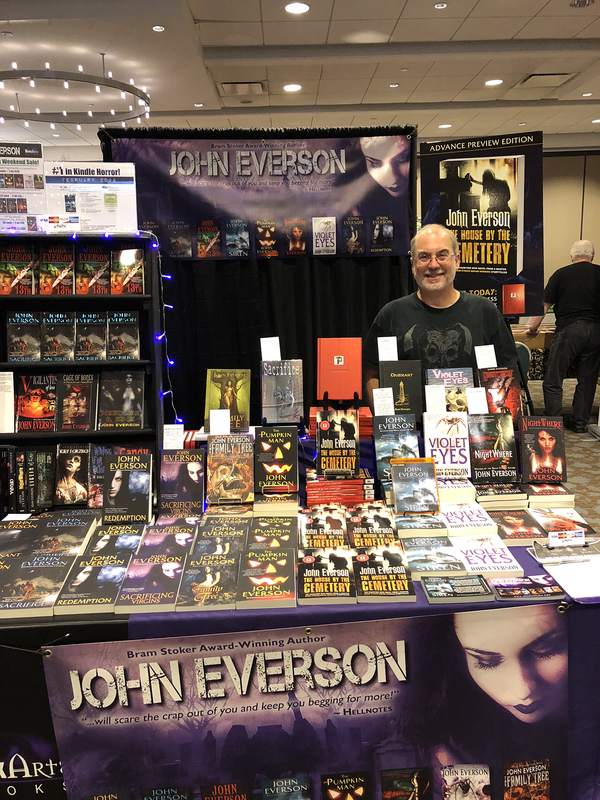 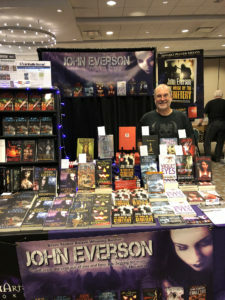 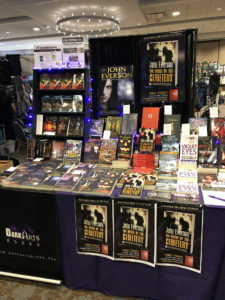 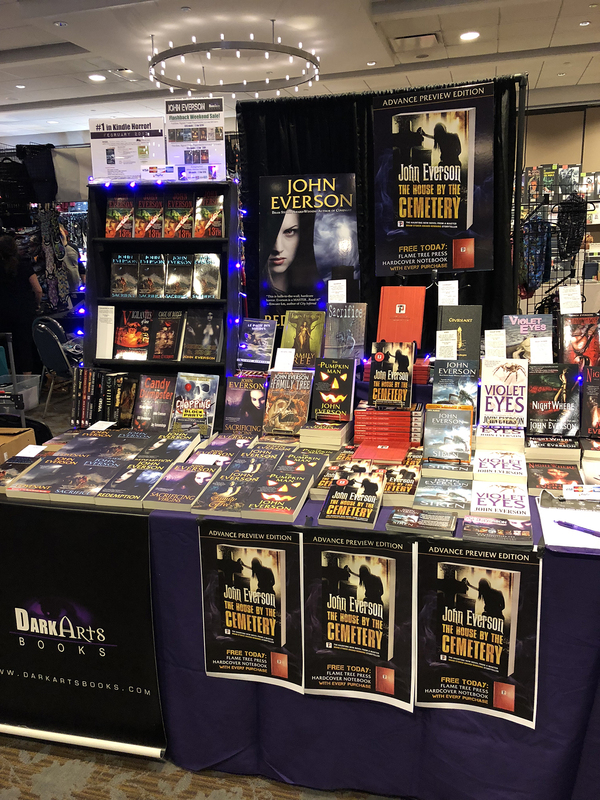 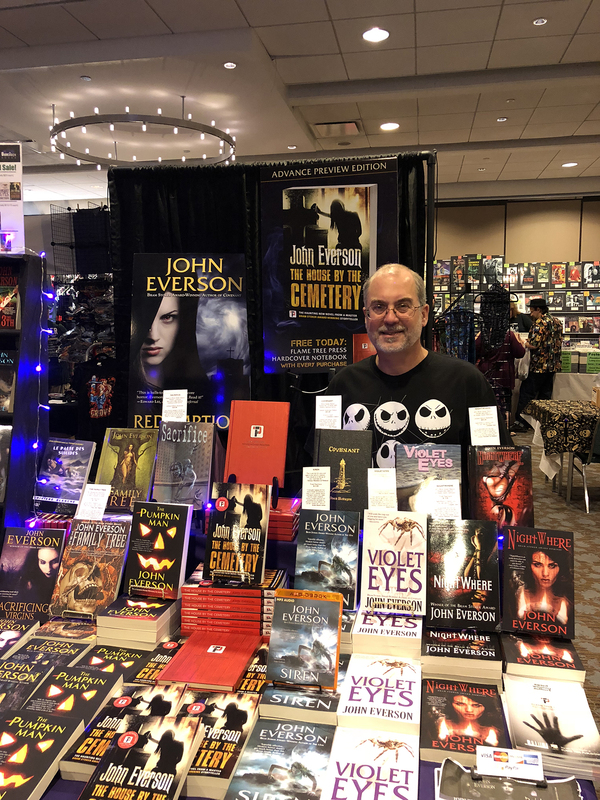 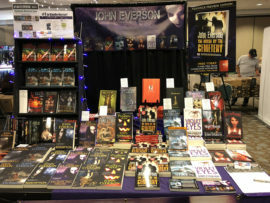 My publisher, Flame Tree Press, was able to print a batch of advance reader copies of the book so that we could stage a bit of a debut at my local con two months ahead of time (it will officially be released to bookstores on October 6.) 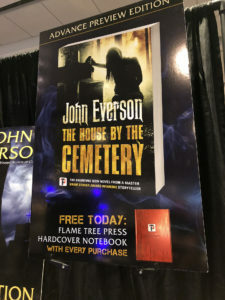 Flame Tree also sent a bunch of hardcover notebook/journals to give away to anyone who purchased the book… so Flashback-ers got a really cool deal! 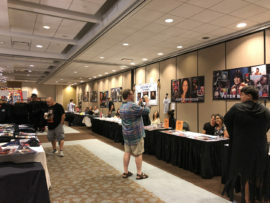 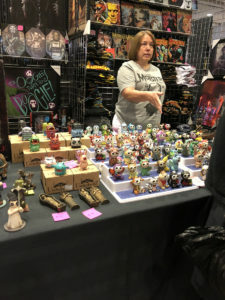 One of the reasons I love Flashback is that while it’s a good-size convention, it’s also feels like kind of a “family” show. 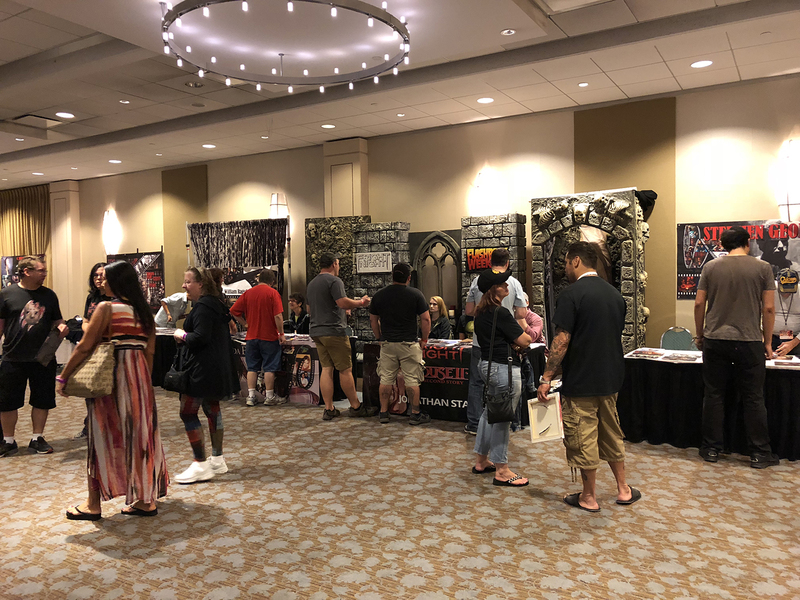 A lot of the same people come to vend and attend every year, so it’s like a reunion every August. 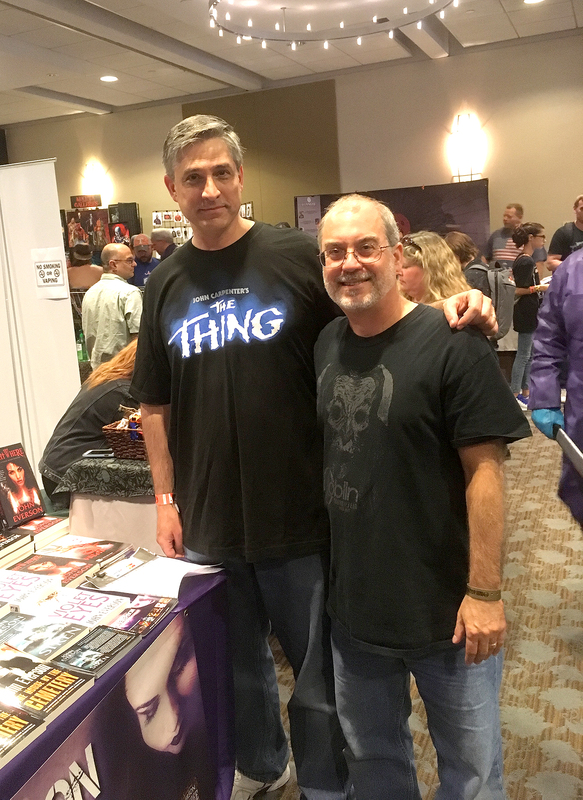 It’s my opportunity to hang out with my friends Jerry Chandler and Don May Jr. from Synapse Films who I only get to see a couple times a year, as well as with many local readers and fans. 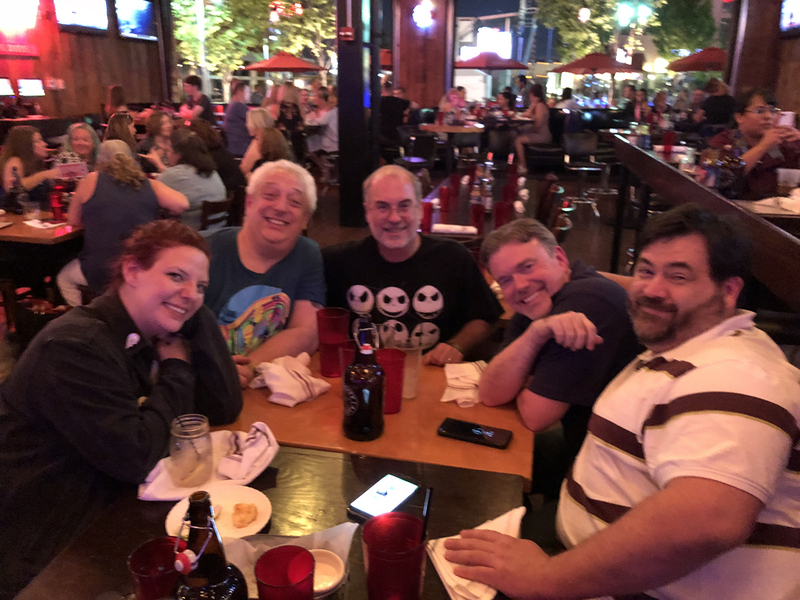 This year I snapped pictures with some of them — here are pix of me with Chad Savage, Brian Pinkerton, James Henry Wood, Jason Henderson, Johngy of Johngy’s Beat and the Synapse crew (at dinner on Friday night at Bub City BBQ). 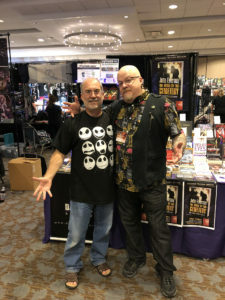 A weekend talking horror goes fast! 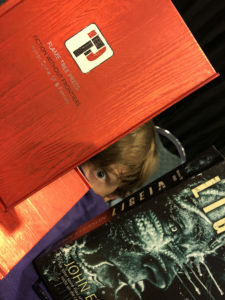 This year there was no “film debut” at the Muvico Theater down the street, which was a bummer (they showed the 4K remasters of Synapse’s Suspiria and Well Go’s Phantasm the past couple years). 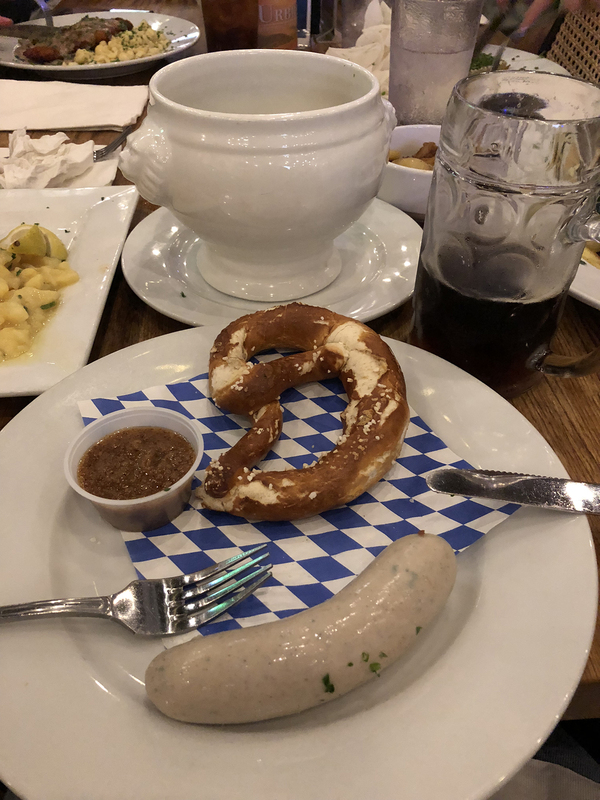 But that left more time for fun dinners at Bub City and Hofbrauhaus with my Synapse crew on Friday and Saturday nights this year. 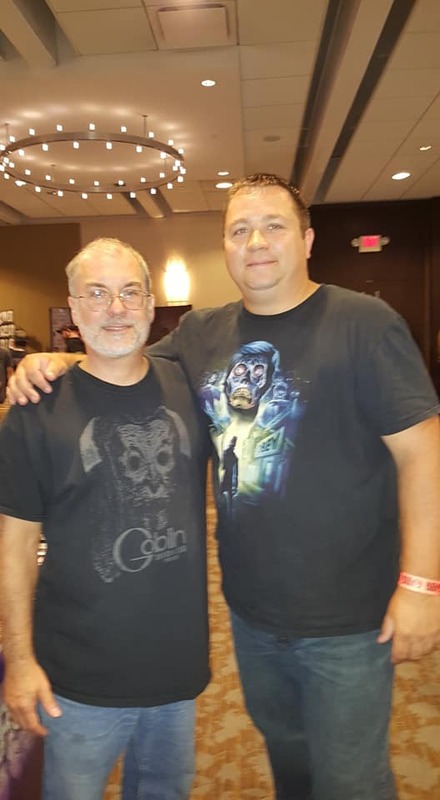 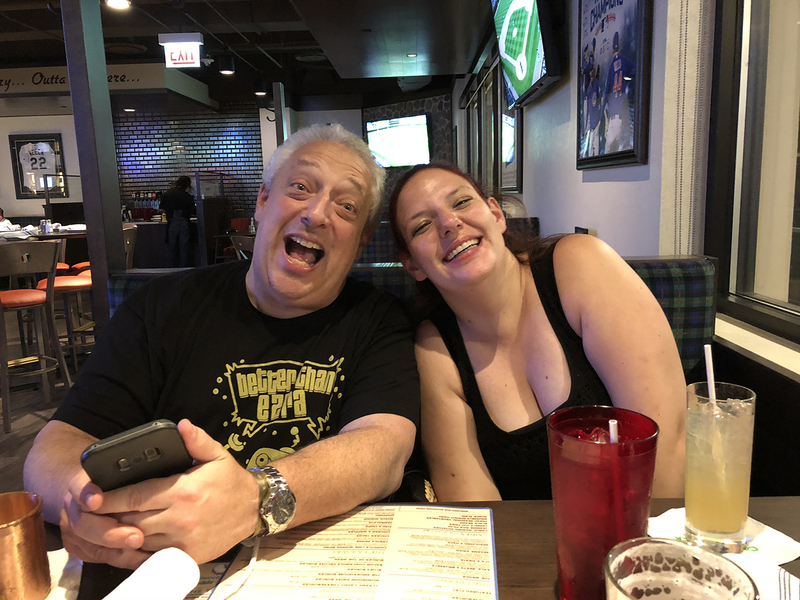 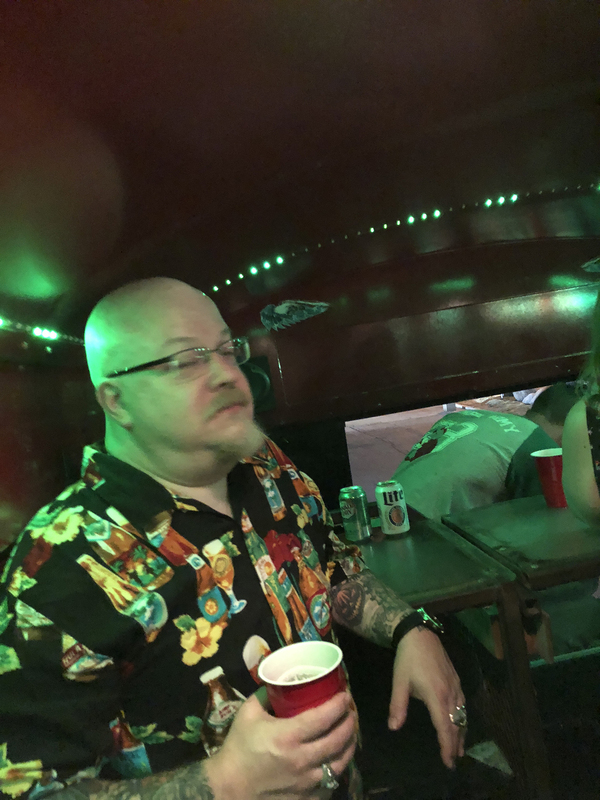 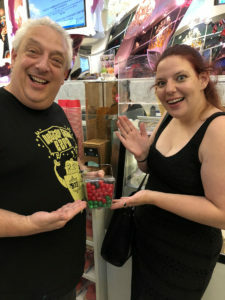 I also had the chance to have a beer with a local horror effects maven and actor (Leo McNamee), chatted for a few minutes with Lynn Lowery who I met last year at HorrorHound and hung out for a bit with Chad Savage on the Zombie Army bus on Saturday night. 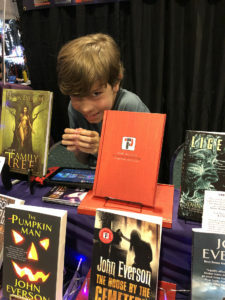 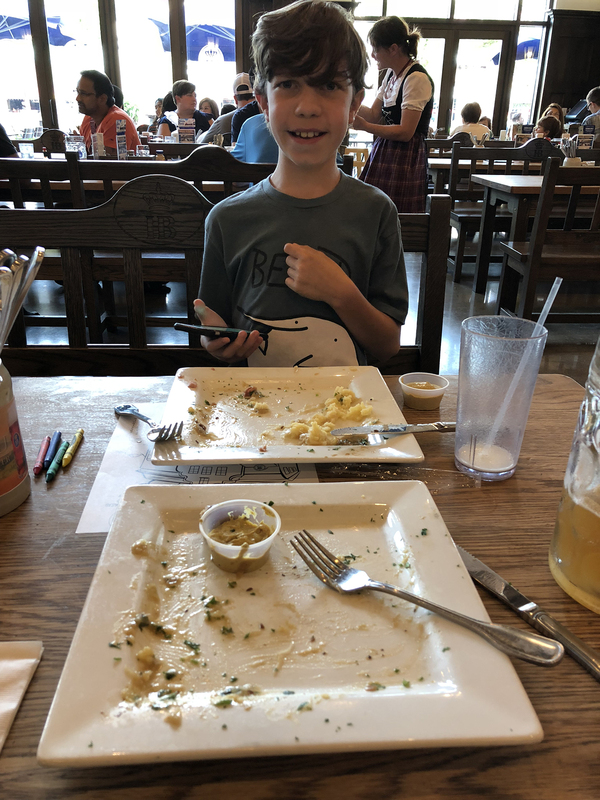 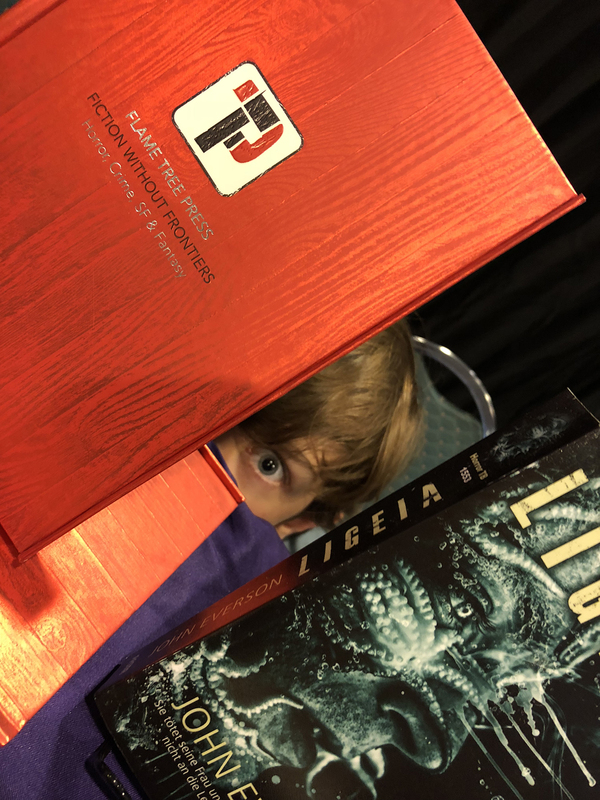 My son Shaun “The Evil Bookseller” has come down on Sundays with me the past few years to talk with Pokemon Go with Noa Chandler and Jerry and Don, and to help me with booth tear-down. 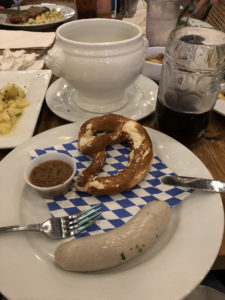 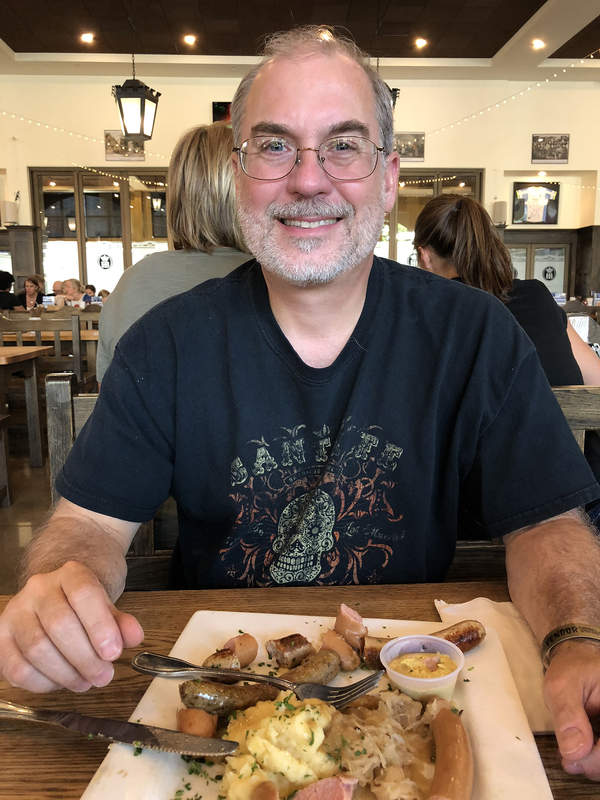 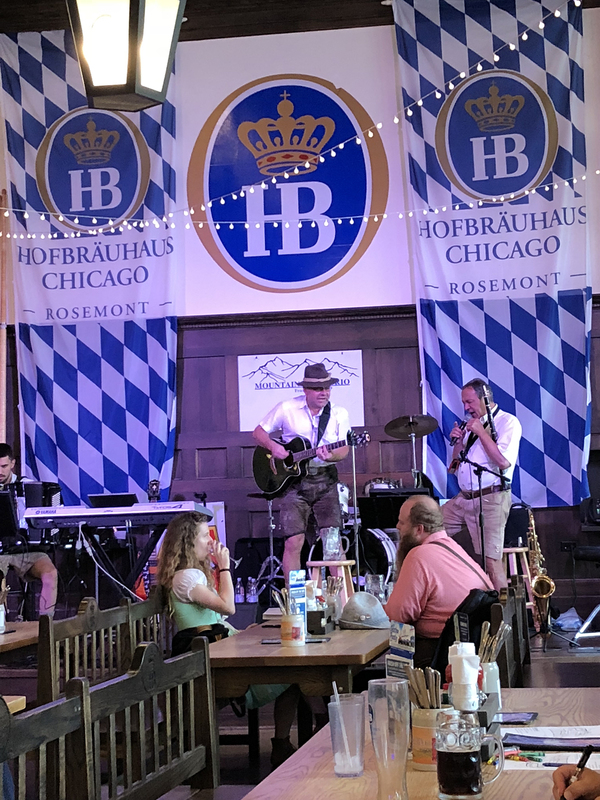 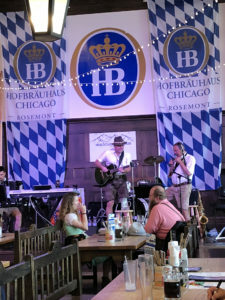 This year was no exception, and after everything was loaded up, we headed over to Hofbrauhaus to enjoy our “wrap” dinner with some awesome sausage & sauerkraut plates.